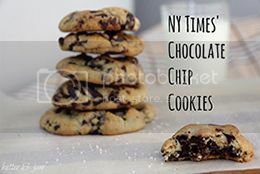 This chocolate chip cookie recipe was voted the best-ever by the New York Times. 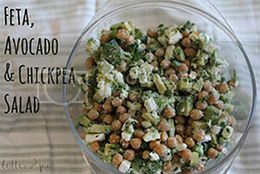 I've seen this recipe everywhere on the internet - on Pinterest, blogs, food websites... you name a food-related website and they'd most likely have this gem of a recipe posted somewhere, and people would be raving about its goodness. But this recipe wasn't voted the best-ever for no reason. They really are the best-ever chocolate chip cookie recipe out there. They're chewy in the right places, crunchy in the right places, and even ooze melted chocolate when they're still warm. There's a secret to this recipe, too. You'll have to believe me when I say this, because as weird as it sounds, it's true. Are y'all listening? You need to chill the dough for 48 hours. Not kidding! I chilled my dough for 48 hours (and -- would you believe? -- it actually decreased in size during that time. We had a few... oversized mice nibbling on this cookie dough as it was maturing. Why does cookie dough have to be so addictive?). So. Here's the recipe. I halved mine but I think I'll make the full amount next time so we can enjoy more of the cookie dough! In a large bowl cream butter and sugars together until very light, about 5 minutes. Beat in the eggs, one at a time, making sure they are fully incorporated before adding the next then mix in the vanilla. On low speed, add the dry ingredients and mix until just combined, only 5-10 seconds. Gently incorporate the chocolate into the dough. Press plastic wrap against the dough and refrigerate for 48 hours. When ready to bake, preheat oven to 180C and line tray with baking paper. Roll dough into balls (small golf-ball size) onto baking sheet, making sure to leave a lot of room between. Sprinkle each dough ball lightly with sea salt. *I used this cake flour substitute here. These WERE very delicious biscuits! Can you make some more soon? Pleeeeease?! Hi! I saw your post on the Best Blog Recipes' Weekend Retreat. 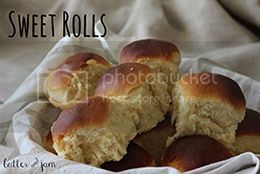 I've been meaning to try this recipe for a while, maybe these weekend. They look super good! And I just remembered how much I crave cooking after looking over some of your posts. Bad girl, that you are! I'm also a new Follower and would love to see you visit me at my blog: www.feelLOVDeveryday.blogspot.com - if you like what you see, Follow Me, too! Thanks so much and looking forward to more great posts. Looks so delicious! 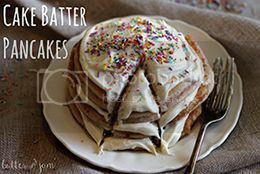 :) I have this recipe pinned as well but I have never made it because I never have cake flour on hand. Thanks for the DIY cake flour! :) Pinning! 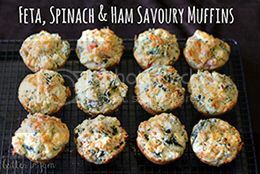 These look so delicious - I am going to try out the recipe. Found you via Marvellous Mondays and looking forward to following on e-mail. 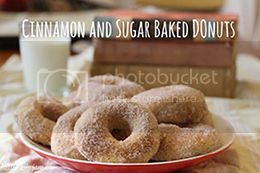 I've tried this recipe before and your right, they ARE the best. Thank you so much for sharing with Saturday Spotlight. Have a great week and come back soon! Wow! I must try this. My husband loves chocolate chip cookies and I have to always go back to buying the dough already to bake because I can never get them right. This really does look great! I've never heard about refrigerating dough for that long but I would love to try it! Still haven't tried this recipe yet, but I've had it pinned forever. Would love you to come over & link this recipe up at our link party. It is open through March 1 & is all chocolate! http://www.ratetheplateutah.com/2013/02/food-holiday-link-party-chocolate-month.html . Thanks! I'm gonna have to try these sometime! I've heard about this recipe everywhere, too. I did see that chilling the dough was the secret. It's so hard to wait that long to make cookies, though! Haha. Yours look delicious - your photos are great! These look really good! I love that there is a secret tip that makes them so good. You have been chosen as today's Dare to Share Feature of the Day! These look ridiculous! OMG ~ might have to go without eating all day so I could enjoy them!! Wow. Who would have thought that refrigerating the dough would make them so much better!? These look delicious! And you took beautiful photos of them too! I am a huge fan of chocolate chip cookies and make a hobby out of trying new recipes! Can't wait to try yours. Stopping by to let you know I am featuring these tomorrow on Made in a Day! Thanks for linking up! Hi Grace! I found you thru the Sundae Scoop Link Party (I'm link #227, Adorable Owl Cupcakes). I make gourmet cookies and these cookies look perfectly yummy! I'm your newest GFC follower too! Pinning this to give it a try. Yup, cookie dough in my fridge is in danger of disappearing. I almost like the dough better than the cookie. lol! Thanks for sharing with SYC. 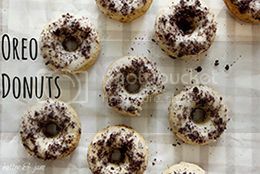 Oh, these looks so delish!! Saw this on the link party. They look great. I am always on the lookout for the best choc. chip recipe. Will be trying! Thanks! These really do look like the best ever chocolate chip cookies! Thanks for linking up this post to The Best Blog Recipe’s Weekend re-Treat #9! These look delicious! I've seen the NY Times recipe everywhere too and keep wondering if it's good, I need to give it a go sometime too! Your cookies look fabulous!!! !